The Kite Festival returns to Veterans Park for the second year as Macomb community members demonstrate the aerial acrobatics of their colorful kites. McMeekan also spoke about how after the first kite festival more people became familiar with the festival and more sponsors and businesses were willing to provide help with the event. 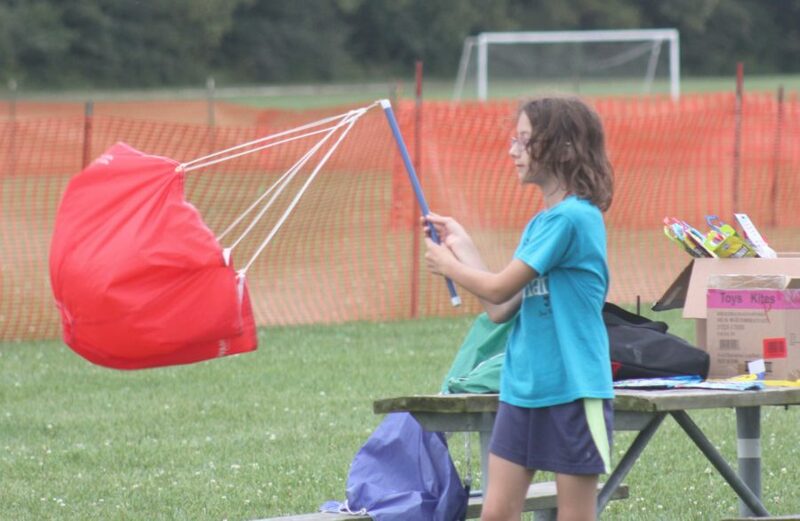 Along with flying kites, the event offered bubbled stations for kids, a kite “make and take” station, and kite kits families can take home and make together. Day two of the event also included more craft activities as well as food provided by the many businesses from the city of Macomb. The festival received sponsors from businesses and organizations from all over the city. Some of the sponsors included were: Hardees of Macomb, Fraternal Order of Police Lodge No. 169, Macomb Park District, Sky Climbers Kite Club and with appearances by Team 180 Go.